For three months, Kayla Webber has spent nearly every waking moment with Kaleb Warner, the man who shares her heart. Between training and getting to know each other, she has had little time for herself. When Kaleb disappears for a few days, she welcomes the respite. Her meditation during the Vernal Equinox brings on a disturbing vision of Kaleb with another woman. Shaken up, Kayla travels home to her guardians for guidance. Before Kaleb returns, she must battle her own Shadow to keep the Darkness from taking what matters most to her Heart. Sometimes you have to get lost in the dark before you find your way back to the light. 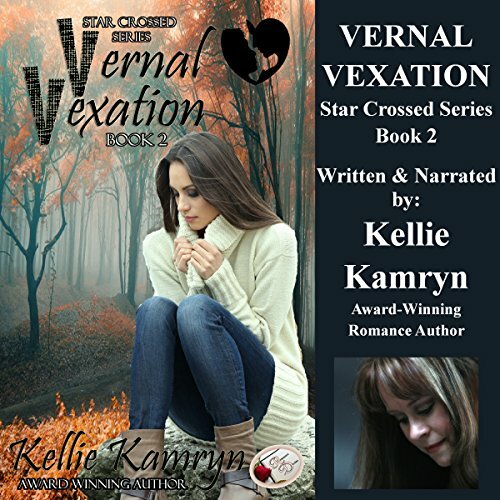 This audio book also contains a bonus chapter from Solstice Surprise: Book One in the Star Crossed Series. This short book is a continuation of the story of Kayla and Kaleb from the first one in the series, 'Solstice Surprise'. We learn more of their past, how they conquer their fears and learn from their mistakes. The story is not over yet and I am looking forward to see more of Kayla and Kaleb. Ms. Kamryn's voice is easy to listen to, bringing the listener into the story with portraying well the emotions and actions of the characters. The sound effects are distracting for me, but I imagine the younger listeners would enjoy them.